What: Over the course of three days, 49,000 attendees will sample beer from approximately 580 U.S. breweries at the 31st annual Great American Beer Festival (GABF). As America’s premier beer festival and competition, GABF represents the largest ticketed beer event in the country, bringing together the brewers and beers that make the U.S. the world’s most diverse brewing nation. When: Thursday, October 11: 5:30 p.m. – 10:00 p.m.
Friday, October 12: 5:30 p.m. – 10:00 p.m.
Saturday, October 13*: 12:00 p.m. – 4:00 p.m.
*Brewers Association and American Homebrewers Association members-only session. Saturday, October 13: 5:30 p.m. – 10:00 p.m.
Why: With more than 2,000 breweries currently producing countless styles and varieties of beer, the U.S. is a world leader in brewing. Annually, the GABF gathers about one quarter of the country’s breweries to Denver for a public tasting event, as well as one of the most esteemed beer competitions and judge panels in the country. Brewpub Pavilion: About half of today’s 2,000 plus breweries are considered brewpubs, and this year’s GABF recognizes that trend with a brand new Brewpub Pavilion, located in the central area of the festival hall. The pavilion will include approximately 24 breweries representing all regions of the country and will be set up to replicate the brewpub atmosphere that craft beer enthusiasts enjoy, including seating and bite-sized snacks available for purchase. More Breweries: With some changes to the festival floor plan, GABF will have 110 more breweries pouring their beers in the hall this year, which is a 23 percent increase over 2011. 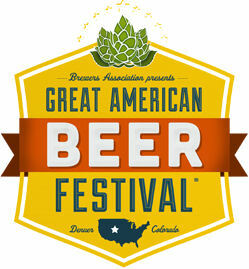 Fresh Hop Ale Competition Category: This year’s GABF competition will feature a brand new “Fresh Hop Ale” category. The addition of this category signifies not only growing interest in this beer style, but also increased appreciation in the role of beer ingredients. Approximately 580 participating breweries: See if a local brewery from your state or region is participating. For a full brewery list, visit http://bit.ly/ONShMp. Craft Beer and Business: While the overall beer market saw a 1.32 percent volume decrease in 2011, craft beer continues to see steady growth. Over the first six months of 2012, craft brewers saw volume rise 12 percent, while retail sales grew by 14 percent. Craft brewers sold an estimated 6 million barrels during this period, as well. With a total barrel increase of 1.3 million from 2010 to 2011, craft brewers now represent a record 5.68 percent of volume of the U.S. beer market and 9.1 percent of the $95.5 billion U.S. beer sales market. Both of these numbers are poised to increase as craft beer’s popularity grows. As of June 2012, there were 2,126 operating breweries in the U.S.–the most since the late 1800’s. Beer and Food: Last year, Zagat named beer one of the top-five dining trends of 2011, and GABF offers a number of opportunities to explore the growing popularity of beer and food pairing. The Farm to Table Pavilion returns for a fourth year, bringing together chefs and craft brewers from across the country to serve small plates paired with special release beers that aren’t available in the festival hall. The Beer & Food Pavilion also returns with demonstrations featuring expert chefs and brewers. • By partnering with ZeroHero and others, GABF’s goal is to recycle or compost 70 percent of waste produced at the event. • In 2011, 79 percent of waste at GABF was recycled or composted; this includes 15.4 tons of waste that was diverted from the landfill. • House lights will be kept at 50 percent during the festival. • Learn more about GABF’s sustainability efforts here.